In our newest content series, we will be doing a weekly roundup of clean products to feature, in an effort to help you find the highest quality, most affordable products for you – without sacrificing your health. 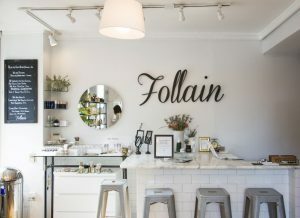 This week, however, I decided to focus on a specific organization – Follain – a female owned business striving to provide a one-stop shop for all your clean beauty needs. Don’t be mistaken, this is not about selling out and only showcasing the trendiest products, the people at Follain really do their research. Follain was founded by Tara Foley, her journey starting back in 2009 when she was working to become a lawyer, and realized that though she prioritized her fitness and nutrition, she really wasn’t paying much attention to the products she was using on her face and body. 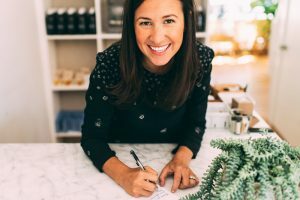 From there she started her blog, Naturalchemyst, where she realized there was a largely untapped and uninformed body of consumers, craving to know what was actually in their products. Her business concept won a competition while she was receiving her MBA, Foley knew she had something special. From there, it was just getting her hands (literally) dirty in French Lavender fields, and educating herself in the world of private beauty corporations. Follain was officially started in 2013 and has grown to be one of the leaders in clean beauty retail. Follain also prides itself on the strict review and approval process all of their brands must undergo in order to snag a highly coveted spot on their shelves (and online). 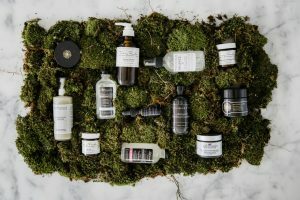 Their 5 step review process has led to the emergence and expansion of clean beauty brands like; French Girl Organics, Rahua, Indie Lee, Herbivore Botanicals, SW Basics, and Schmidt’s. The restricted ingredients list that Follain’s products need to be free of is extensive and can be found in full here, some of the majors being; Parabens, Mercury & Mercury Compounds, Formaldehyde and Coal Tar. When you read through this list, and take into consideration the listed effects each compound has on the body, think of how many products in conventional stores are packed with them. This isn’t to be preachy or try to belittle anyone for wanting to use a specific type of product, but when you think about the toxins you are introducing to your system by using that $7 moisturizer, and the potential risk of medical issues stemming from that, the cost is far greater than the natural moisturizer that costs $25. Luckily, Follain offers goods for every price range, and there is absolutely something there for everyone. This doesn’t mean you need to walk into your bathroom and chuck all your products then go into debt investing in expensive cosmetics, but every step you take in that direction helps. Start small by testing products and slowly switching things out, it is the safe and responsible way to ensure you’re spending wisely and getting the most for your money! 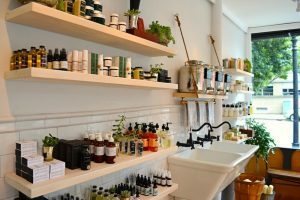 And don’t worry if you aren’t close to a store location, their website is flawless and allows you to purchase all your natural beauty goodies online.